Iron Trident Concrete Contractors are fully equipped to handle any type of commercial or residential demolition and concrete removal projects. We have all the necessary equipment to break up and remove any slab or walls that may be required. We have dump trailers and dump trucks available to haul rubble offsite to the recyclers. Our experienced machine operators can get the job done in a safe and efficient manner. We will use concrete saws if necessary but often we find a jackhammer attached to a skidsteer or excavator is quickest to limit noise and results in a cleaner worksite. We have small machines the can get into those tight access areas such as backyards where removing portions of a fence is not an option. Custom Concrete steps are a specialty of Iron Trident concrete. We offer all different surface finishes, colours and other upgrades including custom nosings, curved steps, built-in LED lighting, steps with planters and custom floating steps. We have poured many sets of steps and can give you examples and recommendations to help you choose what type of step is best for your situation. Concrete steps are very durable and when supported properly will have a very long lifespan. 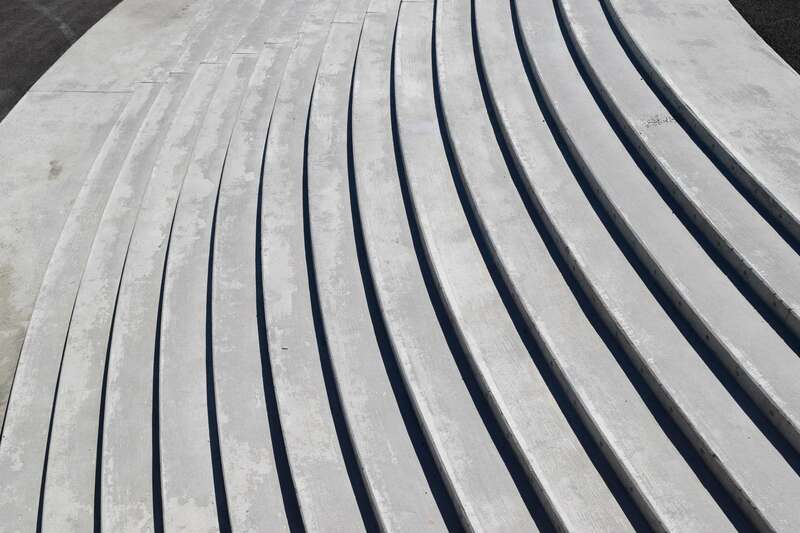 We specialize in concrete steps for all residential and commercial applications and city parks etc. 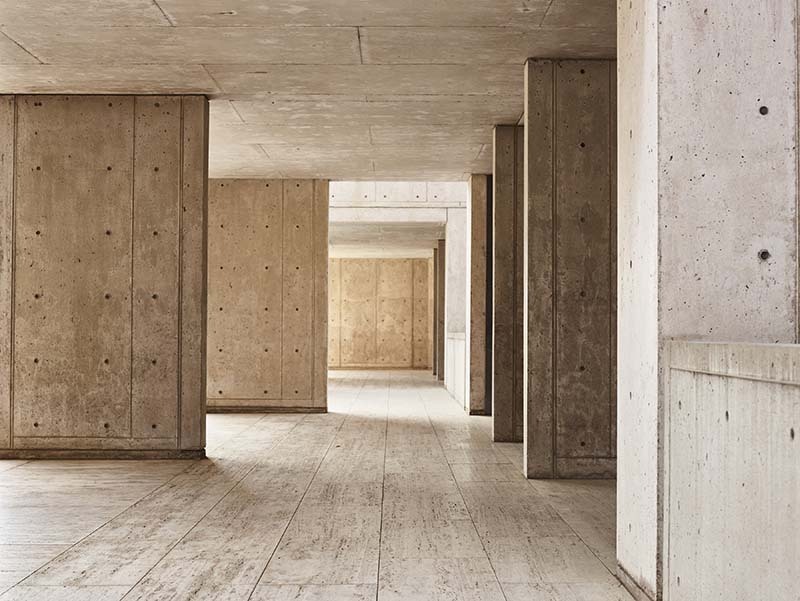 Modern contemporary architectural homes commonly use concrete as a building material both for strength but also for the aesthetic look. Iron trident Concrete Contractors Surrey specializes in forming and pouring high-end paper face walls. Paperface is a type of form that leaves a very smooth finish as opposed to the wood grain look of regular plywood. It is a very popular look for both interior and exterior feature walls for modern homes. We have also completed many projects that involve planter walls, retaining walls, decorative concrete window wells, water features and landscape feature walls. We offer walls in all other finishes including exposed aggregate, light sandblast and others or just a simple unfinished wall meant to be stuccoed or cladded in stone. 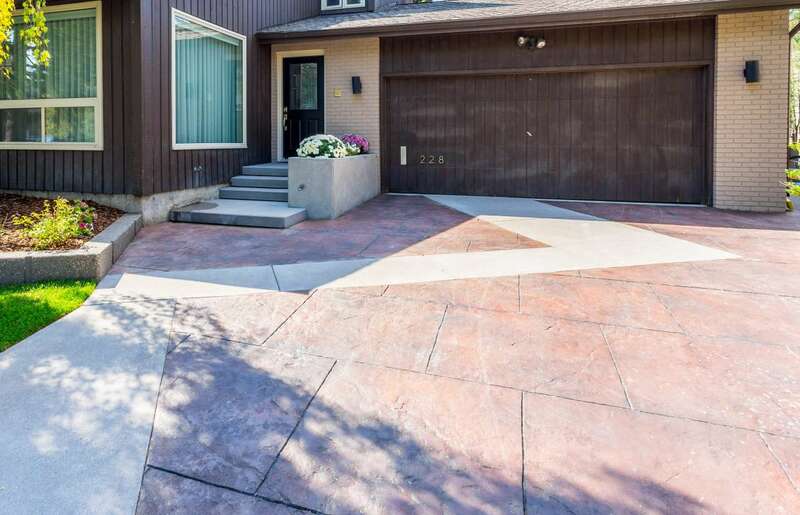 When some people think of concrete the think of a plain grey broom finished city sidewalk but there is a multitude of options to make concrete decorative and pleasing to the eye. Many options of colors and finishes combined with high end decorative forming methods are available allowing us to provide you with an original and unique job. We can provide many pictures and examples of our past jobs and provide imput and ideas for your patio, driveway or stairs. Decorative Concrete walls, stamped concrete, acid stained concrete and custom decorative sawcut patterns are just a few what we can offer. Exposed Aggregate concrete might be the most popular finish for driveways and patios in Metro Vancouver. It gets its look because the top layer of concrete cream is removed by pressure washing or sandblasting during the finishing stage. 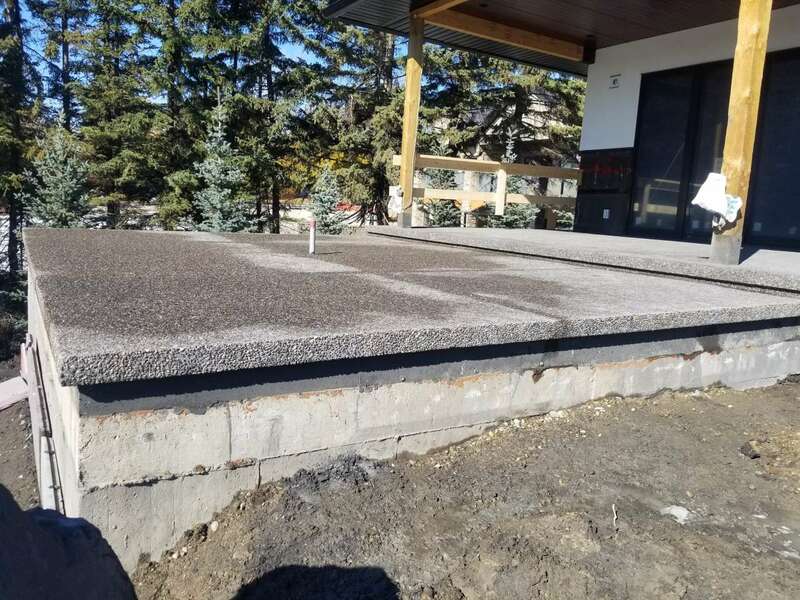 This leaves the aggregate (rocks) half embedded in the slab and creates a more durable and less slippery surface in cold Canadian winters and the west coast rain. Spawling can be an issue with driveways especially as they age and exposing concrete can reduce this problem. Concrete suppliers use smoother, rounder rocks in an exposed mix so its easier on bare feet and great for backyard patios and around outdoor pools. Colour can be added to the mix depending on what look your going for but it will be less evident than adding colour to non exposed finishes. Iron Trident contractors Surrey always includes sealer with exposed aggregate, either high gloss for that shiny wet appearance or penetrating to give you the protection without changing the look. We recommend re-applying sealer every 2 or 3 years or whenever it appears the existing coat has worn off. 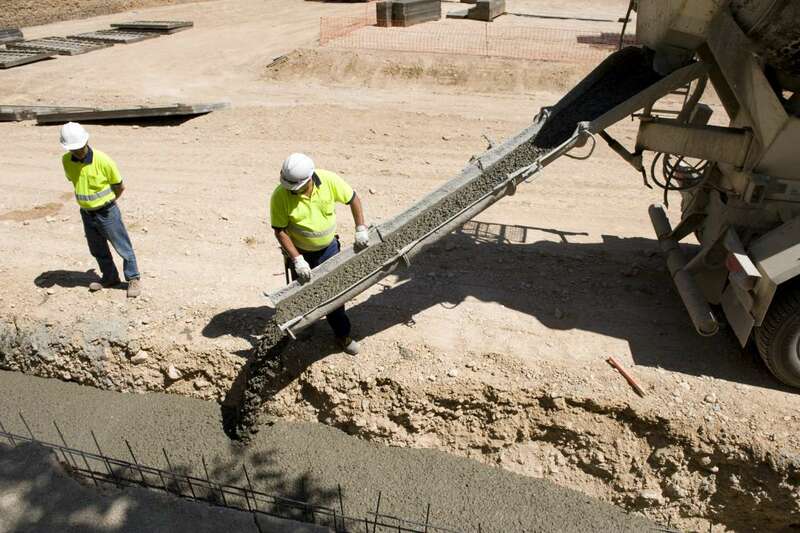 Iron Trident Concrete Contractors Surrey is a full service concrete company in the residential and commercial industry. 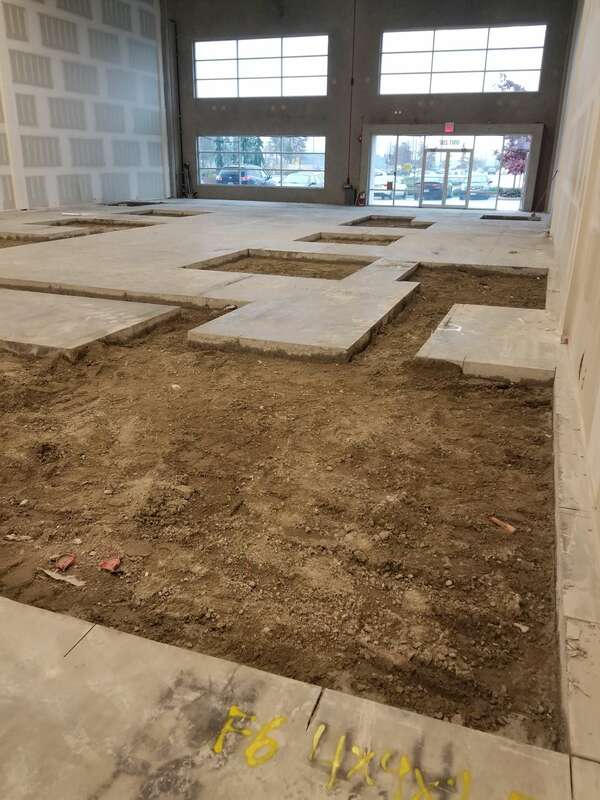 We do it all from planning stages, excavation and trenching, structural forming, decorative forming, placing and finishing and everything that comes after. We will layout and install concrete and screwpiles, footings and grade beams. Concrete walls , basement and garage slabs and all other flatwork are what we specialize in and install everyday.